Math seems to be one of those things that people either love or hate. People who love it usually wonder how they can make it part of their career. The usual path that one thinks of when “math degree” is mentioned is either an engineer or perhaps, if one is lucky, a professor. But what else can you do with a math degree? 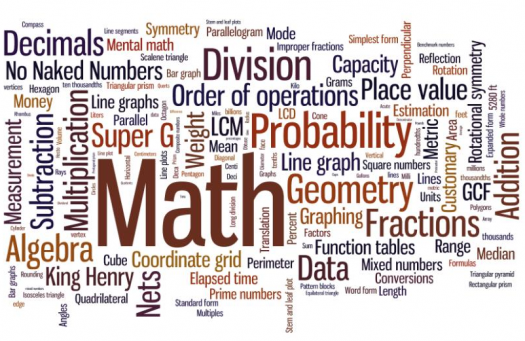 Despite what many people may think, a math degree is actually one of the widest fields that people can major in. Yes, you could be an engineer, teacher, or accountant, but there are also many more careers in mathematical finance. Many of the jobs are statistics-related, such as accounting or being an actual statistician. One could also, surprisingly, pursue meteorology with a math degree. After all, when you think about it, weather is simply analyzing data. If a person is more skilled at calculus-type math, they could be a scientific researcher, finding and solving space-related equations and much more. One could also be an actuary. Actuaries are one of the most crucial professions in business, because they evaluate financial risk and gains in business decisions. It is one of the careers that requires starting at low-risk investment calculations, but once people gain experience they can work in healthcare or investment. Also, a lot of careers in healthcare require just as much math as they do science. So if someone is especially good at math, they should also consider a career in medicine. Teaching is one of the “typical” math careers, but this does not make it any less valuable. People with high degrees in math are highly needed in schools and colleges, and the great thing about this degree is that it can be earned in just a little over a year. So, there are many paths that one can take if they are interested in math, but the fact of the matter is this interest is a necessity. You should always seek a career in something that you actually like, not just something you think you should.